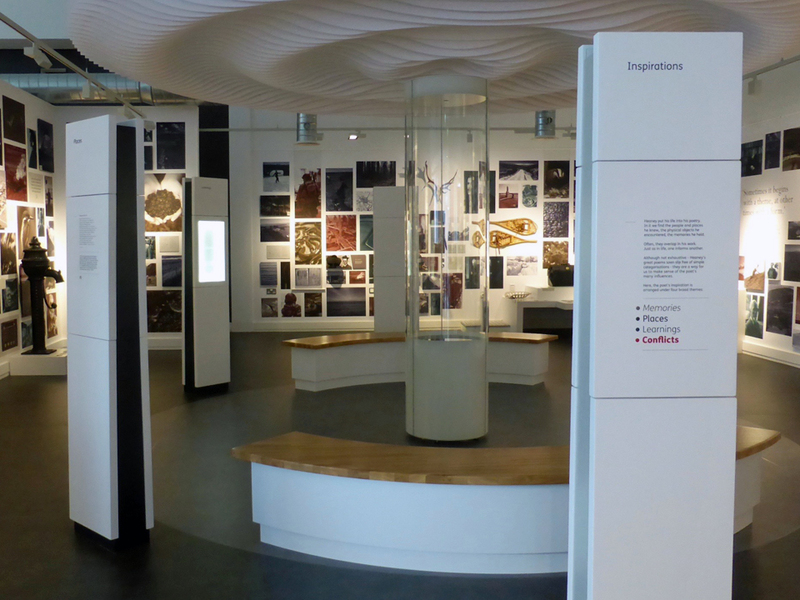 Anyone who wants to learn more about Seamus Heaney’s poetic insights on Ireland’s past and present should not miss the exhibits at Seamus Heaney HomePlace. The two-story site opened in September 2016 as a tribute to this Nobel Laureate’s life, his literature, and the people, places, and things that inspired him. The people who inspired him — his parents, brother, Hugh, wife, Marie, neighbors Barney Devlin, Rosie Keenan, his children, Michael, Christopher and Catherine, and grandchildren are all part of the display. This is also a place to better understand how Heaney’s unique rhythm and rhyme made him the most widely published poet in the English language. Seamus Heaney HomePlace is in Bellaghy, midway between and about 65 minutes from Belfast and Londonderry. 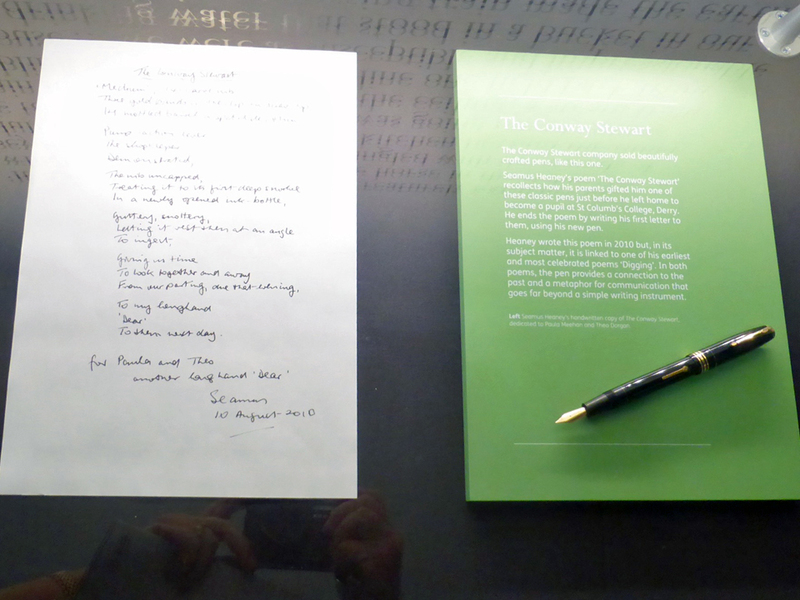 Heaney’s poem “The Conway Stewart” is on display.alongside a pen like the one his parents gave him before he left to study at St. Columb’s College in Derry. The site is near the popular poet, playwright, and Harvard and Oxford professor’s birth and burial sites. The ground floor depicts his life, including the rural childhood. The inspiration for his poetry is linked to his work. 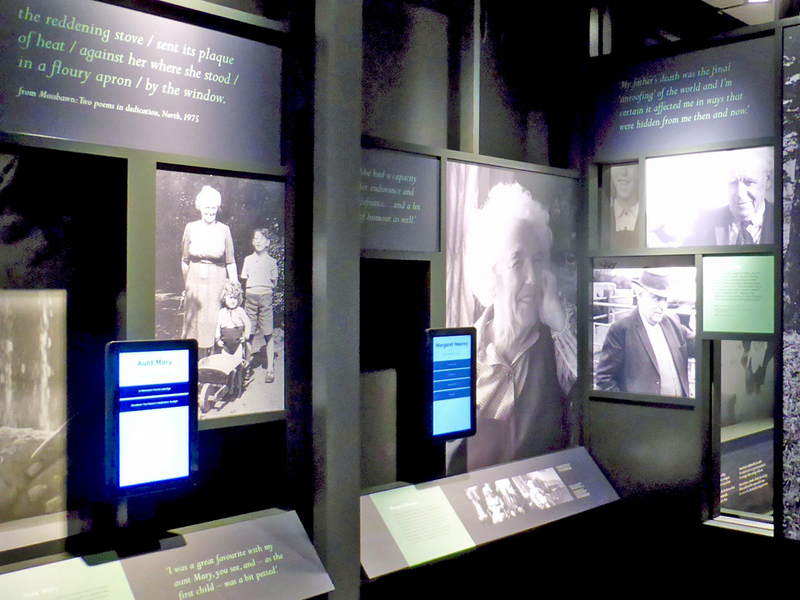 There are family portraits, interactive exhibits, personal stories and artifacts, and recordings from family, his parents, Patrick and Margaret, brother, Hugh, and Aunts Mary and Sarah, his wife, and children as well as friends, world leaders, and Heaney himself. Many of the artifacts were provided by his widow and children. 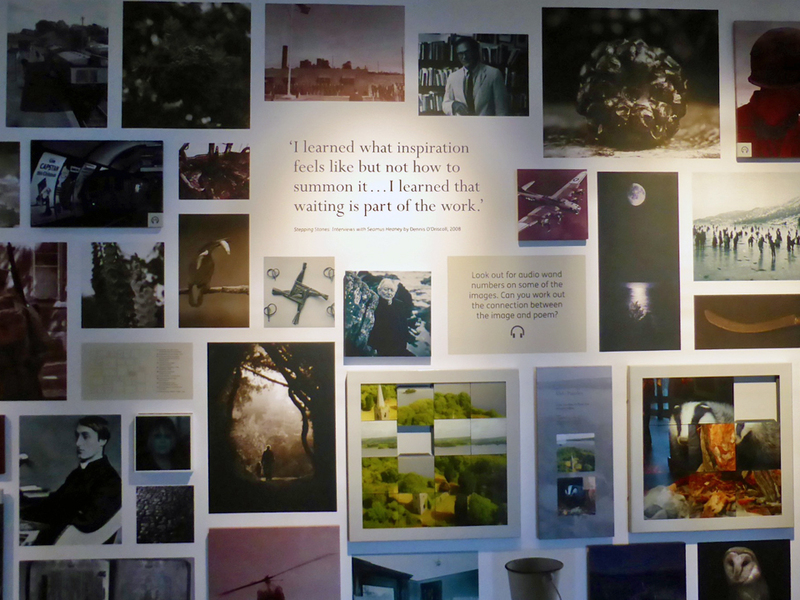 The upstairs floor is devoted to inspiration what inspired the poet. 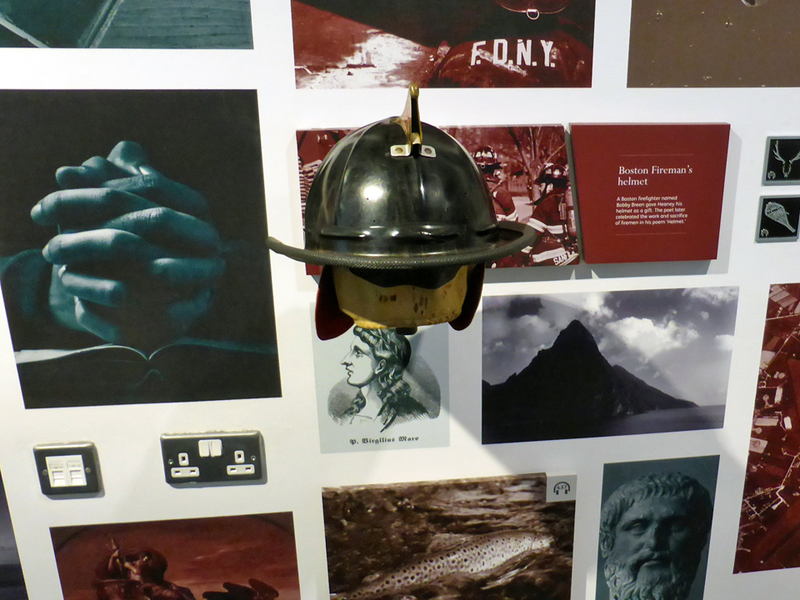 The Boston helmet, for example, belonged to Boston firefighter Bobby Breen, who was immortalized in Heaney’s poem “Helmet.” After his retirement, Breen went on to be an award-winning poet. There is also replica of Heaney’s attic study in Dublin. In 1995 Seamus Heaney was awarded the Nobel Prize in Literature. He died in Dublin in 2013. 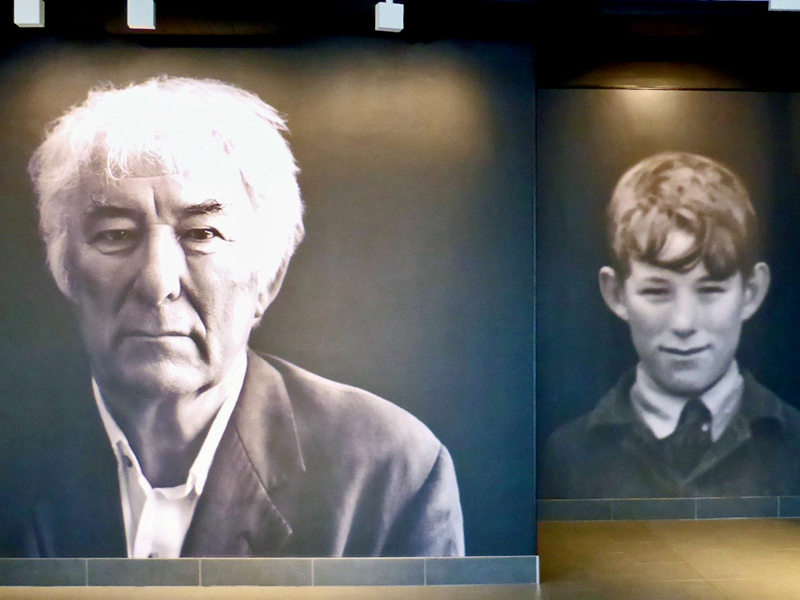 Seamus Heaney HomePlace is open daily.